Createspace Independent Publishing Platform, 9781508851530, 386pp. Delve into the fundamentals of how we interpret and interact with our reality to outgrow our original programming and societal conformance. The Path Within lifts the veil to discovering the fundamental forces that make us human. Expose the internal narrative and constraining beliefs that control your life. Discover your own path to happiness, harmony and rewarding relationships as an Authentic Sovereign Being. Change how you interact with the intrinsic forces of the mind that impact your life. Learn to understand the deep rooted belief systems that have interfered with our ability to live in harmony with the Universe. You are invited to explore personal and spiritual growth beyond therapy and metaphysics. Discover how you are the most essential and most influential participant in the creation of your Universe. Anthony Santen SAC Dip(adv. Psych.) MCH, CLC, NLP is an award winning author, counselor, life coach, and transformational hypnotist. 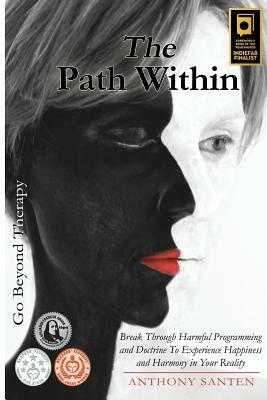 Through many years of working with individuals and couples, he has developed a structured method to facilitate and empower his clients to grow and transform, that goes beyond conventional psychotherapy, known as The Path Within(R) program. His techniques focus on fostering collaboration and inclusivity while exploring the root causes of personal challenges, inspiring spiritual growth and celebrating the unique gifts within ourselves that facilitate our mental health and harmony. Anthony lives, practices, and teaches in Toronto, Canada.